Heavy rains leading to deadly flooding in the South have dominated weather headlines this week. So much so it's overshadowed the copious amounts of rain the Northwest has been getting. 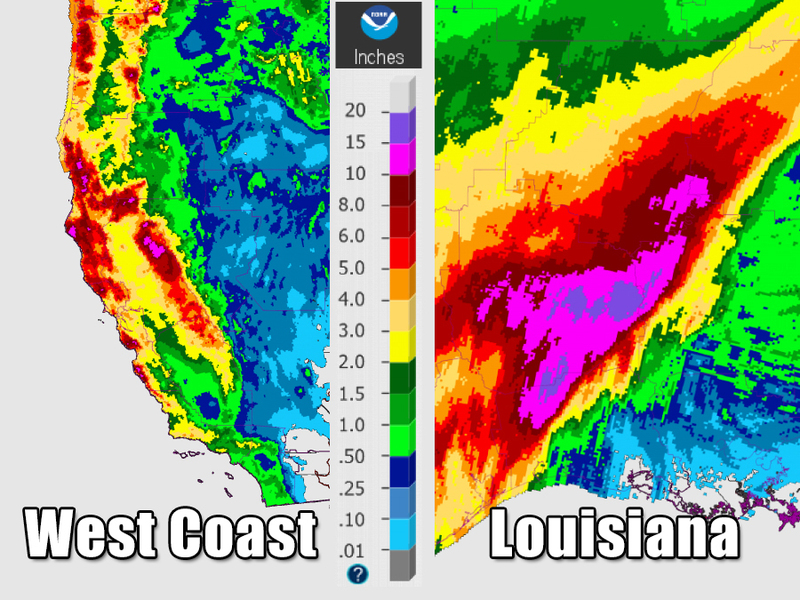 In the past week, parts of Louisiana have received more than a foot of rain and parts of northern California have gotten just shy of a foot. The rain across the South has caused deadly flooding and widespread damage in Louisiana and its neighboring states. Along the coast, however, it's a welcome sight. 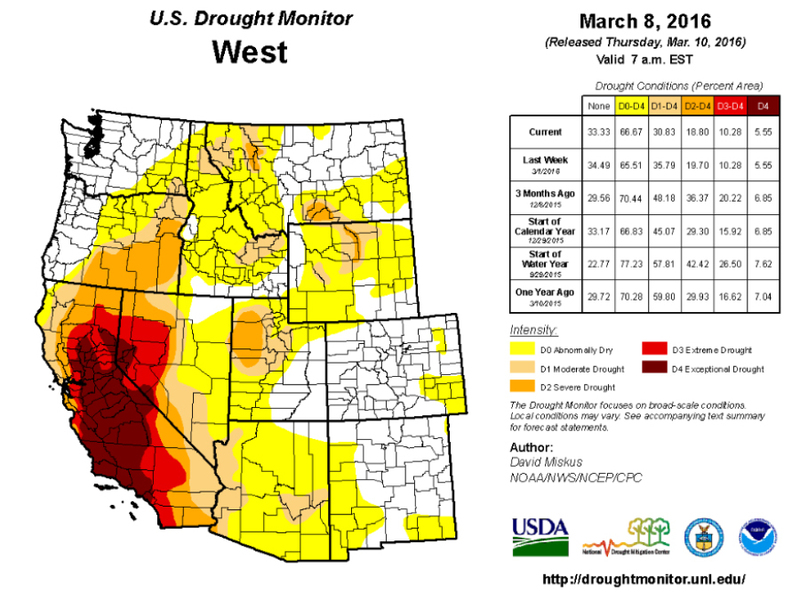 The multi-year drought is getting more relief after an unusually dry February. Droughts in Oregon and Washington have either significantly decreased or been eliminated completely while the drought conditions in California are even slower to improve. The rain in both spots can at least loosely be tied to El Niño. Even though it's beginning to wane, the United States is still feeling its effects — really wet conditions across the southern United States and up and down the West Coast. While it may be welcome news in one place, it's a completely different story elsewhere. And since spring hasn't technically sprung, this is likely just the beginning.